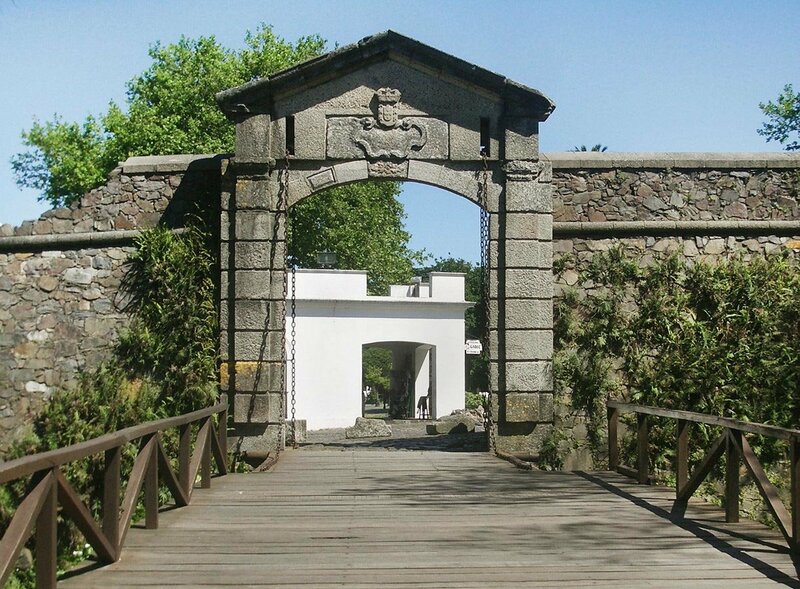 You’re invited to step back in time and experience the historic city of Colonia del Sacramento, in Uruguay. A regular ferry takes over 3 hours to reach Colonia, but with your business class seats on our fast ferry, you’ll be there in just 1 hour and 15 minutes, giving you much more time to explore the beautiful slice of cobblestoned history that is Colonia. Colonia del Sacramento was founded in 1680 by the Portuguese (although it went back and forth between the Portuguese and Spanish a number of times, before eventually becoming a part of Uruguay) and is renowned for its old cobblestone streets and colorful houses, reminiscent of old Lisbon. It is one of the oldest cities in Uruguay, and its entire historic quarter has been designated Mankind’s Cultural Heritage by UNESCO. The historic quarter is unique in that it’s the only example in the region that does not follow the architectural guidelines of a checkerboard grid imposed by Spain. Instead, Colonia’s streets follow curvy and roundabout paths, especially designed to confuse potential invaders. Our historic experience will begin as we depart our hotel in the morning, with a private transfer to Buenos Aires’ ferry port. 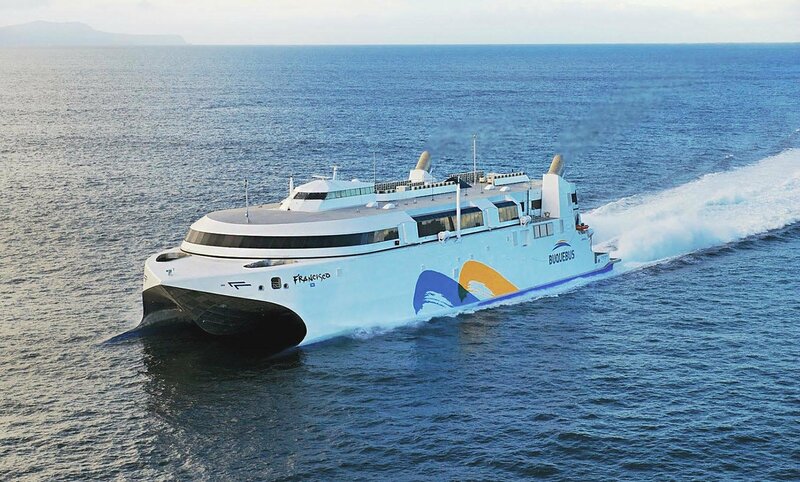 The fast ferry crosses the Rio de la Plata (River Plate), the widest river in the world and natural border between Argentina and Uruguay. This day-tour is organized in such a way that you’ll be free to do it at your own pace. One of the activities included is a ride on a hop on / hop off bus. This same bus will be your means of transportation from the port to the town of Colonia. The bus tour itself lasts about one hour if you stay on it for its entire duration. You can hop on and off of it as many times as you like, and simply wait for the next one to continue visiting Colonia’s main highlights! 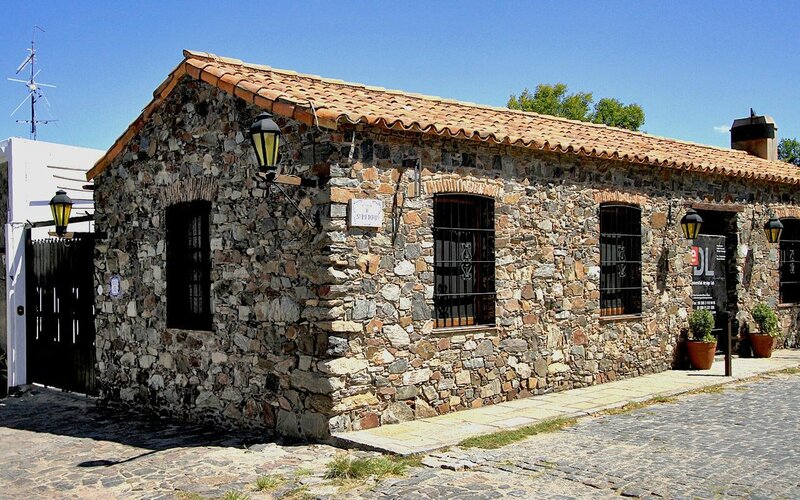 You also have included a 1-hour walking group tour at the historic district of Colonia, which you can choose to do at one of 4 moments during the day (there are two tour starting time options in the morning, and another two in the afternoon). 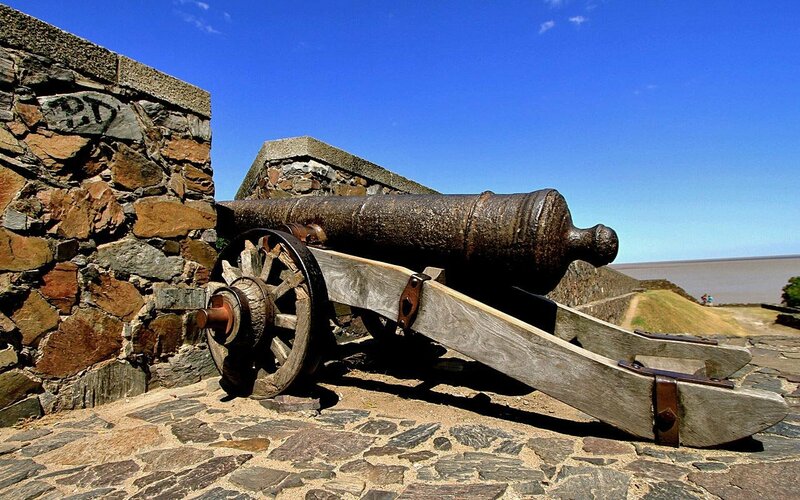 This walking tour is an ideal moment to grab your camera and start creating memories, walking down the old cobblestone streets and marveling upon the antique architecture of this once Spanish and Portuguese colony. Starting at around noon you’ll be able to make your way to the restaurant for lunch, which is included (beverages are not included). Your day in Colonia will draw to an end as you hop on once more onto the bus, for a ride to the port, and back to Buenos Aires, where a private transfer will take you back to your hotel. 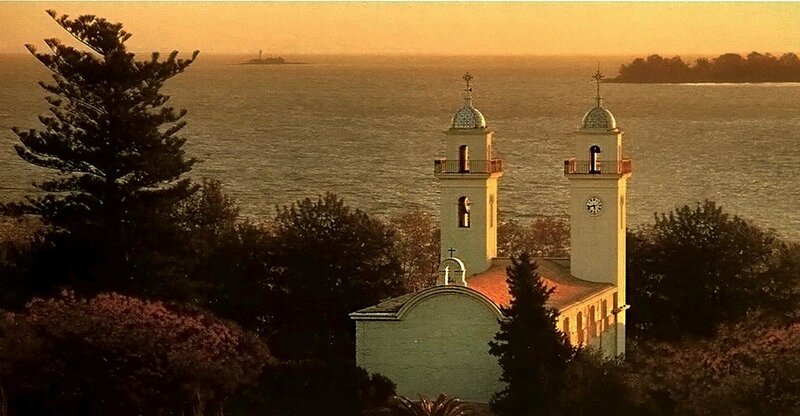 It is advisable that you return to the port in Colonia 1 hour before the ferry departs for Buenos Aires. Important: please note that once you’ve arrived at the Buquebus terminal in Colonia, you’ll find several Buquebus staff members who’ll help you with the details of how you’ll be spending your day. Walk to one of the counters marked ‘Day Tours’, and one of the agents there will provide you with further information. 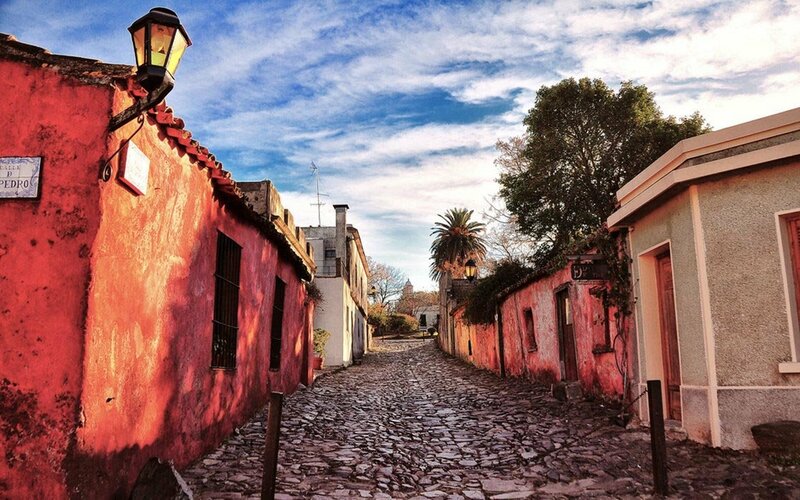 Guide: this tour is self-guided, except for the 1-hour group tour in Colonia’s historic district. The boat company coordinator will receive you in Colonia and coordinate your group tour, lunch and give you the ticket for the hop-on/hop-off bus for your leisure time in the city. Vehicle: private port transfers in Buenos Aires, group transfers in Colonia del Sacramento. Includes: boat transportation in Fast Ferry (the trip takes 1 hour and 15 minutes instead of the 3 hours and 15 minutes it takes on the regular ferry), business class seats in the boat, transfers to Colonia City from the port (to do the group tour), lunch at a local restaurant (beverages not included) and a ticket for the hop-on/hop-off bus for your leisure time in the city.